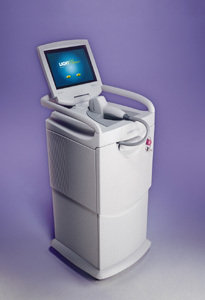 The Cellulite Light Devices is used for cellulite and re-contour treatment, by mean of light, mostly infra red, and radio frequency (mainly bi-polar). The treatment is aimed to minimize cellulite, smoothing skin, improvement of toxins and fluid retention, tightening the skin after liposuction and more. 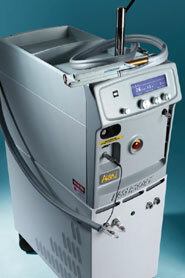 Argon gas lasers used for gum treatment and other oral cavity dental procedures. These lasers deliver energy at blue-green wavelength in continuous wave mode. 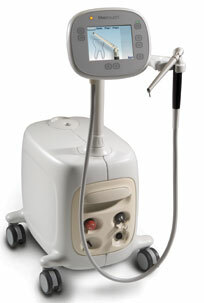 Carbon dioxide lasers are used for dental procedures for removal or vaporization of soft tissue. Energy is delivered in far-infrared frequencies (10,600 nm) in either pulsed or continuous-wave mode, using a handpiece. Er:YAG lasers, used for dental procedures involving removal or vaporization of hard tissue such as enamel and dentin. These lasers deliver energy through an optical fiber at mid- infrared wavelength in Q-switched or pulsed mode. ErCr:YSGG lasers are used for dental procedures requiring ablation of hard tissue and other oral surgery. Energy is delivered using optical fiber at mid-infrared frequencies around 3 microns, with minimal thermal effect. Excimer lasers are used in dental procedures involving removal of enamel and dentin. 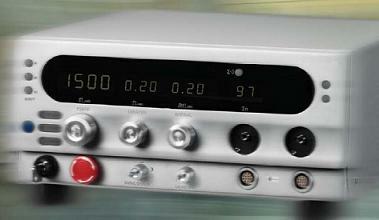 Energy is delivered in ultraviolet range frequencies, in either Q-switched or pulsed modes. Typical excimer lasers use argon fluoride (193 nm) or xenon chloride (308nm) monohalides. Ho:YAG lasers are used in dental procedures involving removal or vaporization of soft tissue. Energy is delivered using flexible optical fiber at mid-infrared frequencies, in either Q-switched, continuous wave, or pulsed modes. 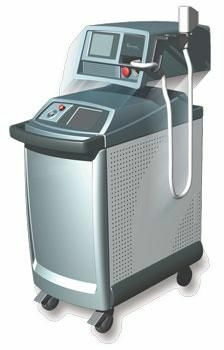 Different types of lasers are used for hair removal, such as: Alexandrite: 755nm, Pulsed diode array: 810nm, Nd:YAG: 1064nm and others. Light at a specified wavelength is delivered from a hand-piece into the skin, where it targets dark material (usually the pigment in hair). This is intended to cause thermal and/or mechanical damage to a hair follicle while sparing surrounding tissues. 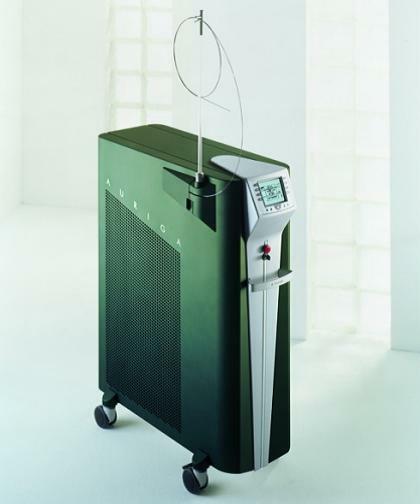 Dermatologic argon lasers or copper lasers used to treat various skin diseases and cutaneous vascular lesions. Surgical carbon dioxide lasers are used in microscopic surgery,macroscopic surgery, endoscopic and laparoscopic procedures, as well as in general surgery and dermatology. They are used to make surgical incisions, to cut and vaporize deeper tissues, and for coagulation of small vessels. Diode lasers used for photodynamic therapy. Tissue ablation is performed by a combination of light, sensitizers, and tissue oxygen destruction that create a non-thermal phototoxic effect. For use in open, laparoscopic, and endoscopic surgery. The laser energy penetrates deep tissue and causes photocoagulation of blood vessels at low power densities, and vaporization of tumors at high power densities. Q-switched Excimer laser system, equipped with patient table,physicians`s chair, and computer system. 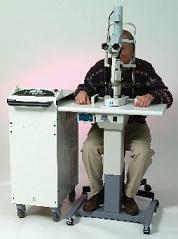 Some include built-in slit-lamps. 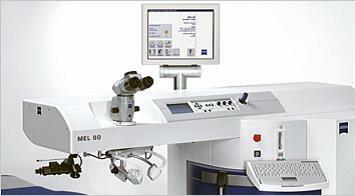 These lasers are used for corneal ablation and other opthalmic procedures. 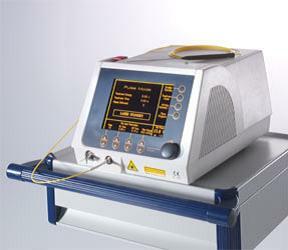 Lasers that are mainly used for cutting, excising, vaporizing, and coagulation of deep tissue. The laser energy of the Nd:YAG penetrates and is absorbed into a large body of deep tissue. This leads to photocoagulation of blood vessels at low power densities, and vaporization of tumors at high power. HO:YAG lasers emit energy near the absorption peak of water, so they can cut or ablate tissue with moderate hemostasis, minimal charring, and a thin zone of necrosis. These lasers belong to a group of solid-state lasers containing the doping element HO. They are used in hospitals and outpatient facilities for various surgical applications. 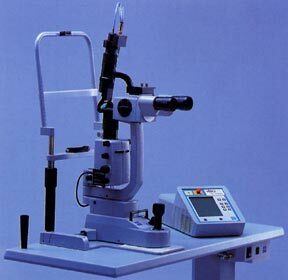 A laser which is used for partial destruction of the tissues that make the fluid of the eye. The laser is in the range of near infra red, a CW ND:YAG or a diode laser. The use of low level lasers may be used for: hair restoration, hair rejuvenation, Alopecia, weak hair, dry scalp, hair loss solutions, thinning hair and ingrown hair. Intracorporeal lithotripters using laser energy delivered through an optical fiber placed in contact with the stones. Stone fragmentation can be caused in two ways : The energy released by laser activation produces a plasma bubble that fragments the stone. The laser energy released can also be absorbed by the stone, causing it to vaporize and fragment. The stone fragments usually pass through the urinary tract. The laser medium used is either a crystalline solid or an organic dye solution. 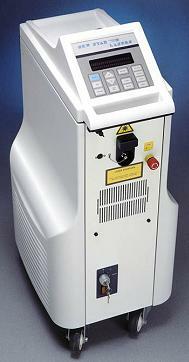 Laser Microdissection: These systems use laser technology for laboratory sample preparation. It is mainly used for research that needs to obtain well defined starting material for later experiments. Its high precession technology is frequently used in the fields of proteomics, micro arrays, genomics and biochips. 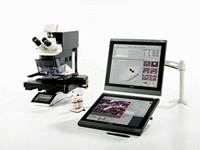 Some systems offer a complete control of the microscope from a position at the laboratory workstation. 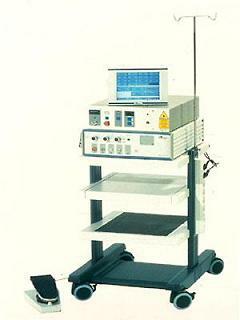 Various devices and instruments for testing or evaluating the function of medical lasers. There are several devices for measuring and calibrating laser medical equipment, such as: power meter, spectral output, scattered energy etc. 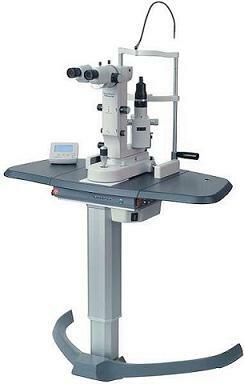 This laser is used for trabeculectomy in patients suffering of glaucoma. It is specially designed for shunt implantation, to allow a direct passageway for aqueous to escape from the eye. This treatment may assist in relieving various conditions such as short-term pain, chronic neck pain, Rheumatoid arthritis, chronic joint disorders, or during post-traumatic and post-operative conditions. Pulsed lasers usually incorporated into a slit lamp. Used for photocoagulation and as a photodestructive tool in surgical procedures. Lasers for ophthalmic photocoagulation procedures, using Argon. They are sometimes attached to a slip lamp, or to an opthalmoscope by means of a fiberoptic cable. Low-power (810 nm wavelength) Diode lasers, with gallium arsenide as the active medium. The lasers can be incorporated into a slit-lamp or indirect opthalmoscope by a flexible fiber-optic cable. They are used for coagulation of abnormal vascular tissue in the retina, and other photocoagulation procedures. This equipment includes an infrared source (e.g. laser diodes), a "sidefire" laser fiber and the control circuitry. The ablation is performed transurethraly. This is a surgical CO2 laser which is used percutaneously for myocardial revascularization in cases of ischemic. 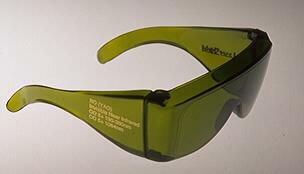 Eyeware with filter glass used during laser procedures. 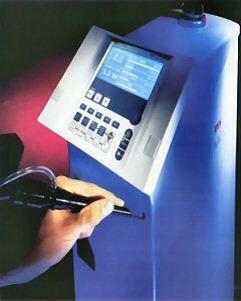 Laser wavelength can be specified to offer adequate protection. The SLT uses a laser system to target only specific cells of the eye (those that contain melanin). This allows for only these cells to be affected, leaving surrounding tissue in tact. 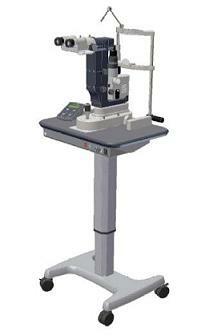 The operator of the SLT systems use a slit lamp to apply the laser to the edge of the iris. Also can effectively remove Birthmarks, Age Spots, Nevus etc. The technology based upon Alexandrite lasers operating at 755nm which is the ideal laser for removal of blue, green and black inks. 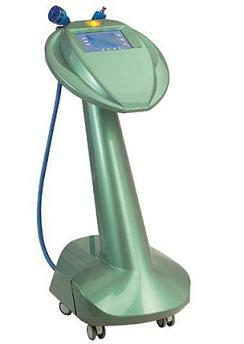 These vascular lesion removal lasers are used for many medical treatments, such as Dentistry, Dermatology, ENT, General Surgery, OB/GYN, Ophthalmology, Plastic Surgery, Podiatry, Urology, Vein Treatment, Vascular lesions removal, Veterinary, and Wound Care. Some models are specially design for the cosmetics and aesthetics purposes like permanent hair reduction, facial telangiectasia, and non-invasive skin treatment. The YAG laser capsulotomy, uses a laser beam to make a tiny hole in the posterior membrane to let light pass through and restore clear vision. Nd:YAG laser posterior capsulotomy reduces glare and improves vision, allowing light to pass through cloudy regions of the lens capsule that may develop after cataract surgery.